Do you ever feel like you're on a treadmill and just want to hop off for a breather? That's what I feel like these days. Now let me say this first-- I realize that my little treadmill is full of fun things! Things I love to do! Life is good... no great! But with that said, I've been having too much fun, not enough doing things that need to be done. Oops! As Andy has pointed out before, I tend to prioritize things I want to do over things I need to do-- he's so practical. But it's high time to heed that advice and get to work. 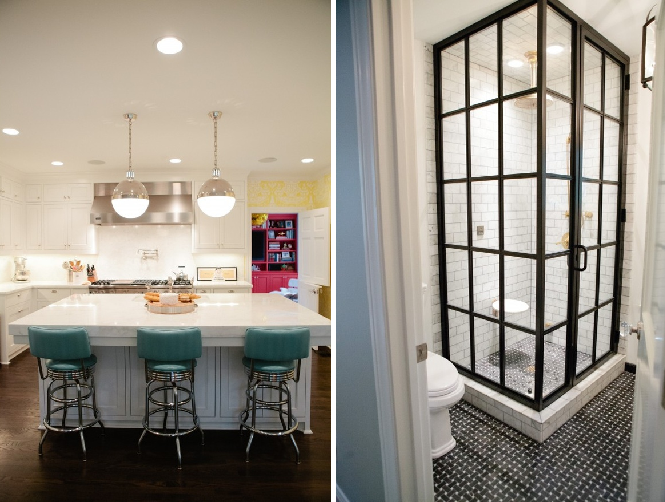 Have absolutely loved perusing Bailey McCarty of Peppermint Bliss's home! See her master, little girl's room, guest room, playroom and laundry room, family room and powder room, kitchen and bar, entry, living and dining rooms. I'm in the process of organizing myself and getting my priorities in line. I've started using the Reminders on my iPhone again... let's see if I keep that up! I probably should make a cleaning schedule a la Jenny of Little Green Notebook. I feel like I'm doing spring cleaning (albeit in the middle of summer) of life! And no, these pics have nothing to do with this post but how boring would this be if I'd left them out?